In stock. Order in the next 6 hours, 58 minutes and it will go out today! If you've never performed this at a children's show, you've been missing out! 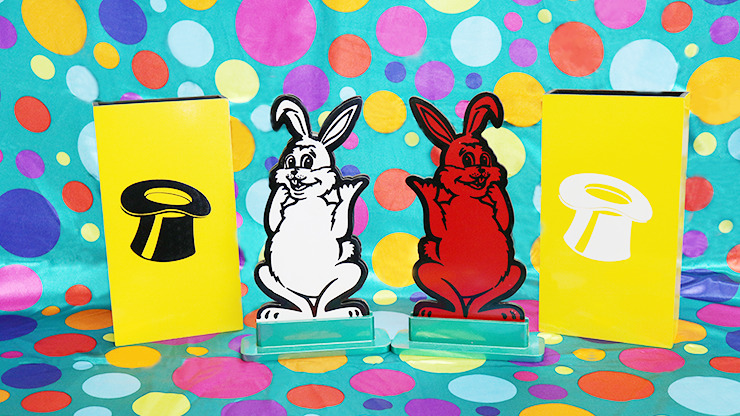 A black rabbit cutout and white rabbit cutout switch places over and over. Once the kids have you figured out, though (wink, wink), the rabbits change to two entirely different colors! Lots of laughter and lots of fun for children and adults alike. Order your set today! Community questions about Hippity Hop Rabbits 12"
Review Hippity Hop Rabbits 12"